You know what people say—always leave them wanting more. Well, in Apple’s case, the much-anticipated announcement of its first crop of original TV shows for Apple TV+ left us wanting to know what the hell was going on. The latest Apple Event brought us some pretty interesting news—like the expansion of Apple’s magazine coverage and the announcement of a gaming subscription service called Apple Arcade—but we were curious to learn more about Apple’s voyage into original streaming content, something the company’s been teasing for a few years. The crop of new shows was announced under the general umbrella of Apple’s expanded TV coverage, now called Apple TV+ (I’m sensing a theme building, thanks Disney+). To celebrate the new venture, folks like Steven Spielberg, J.J. Abrams, Alfre Woodard (Luke Cage), and Jason Momoa (Aquaman) turned out to promote their upcoming series. But...that’s kind of all they did. No trailers were released or details were given about the plots other than what was already out there. Apple did show a brief sizzle reel at the end of the TV presentation that gave small glimpses at some of the upcoming shows, but as of now it’s only available through the livestream (you can check it out here, at around 1:35:00). Update: Apple has now uploaded the sizzle reel, helpfully with show names! 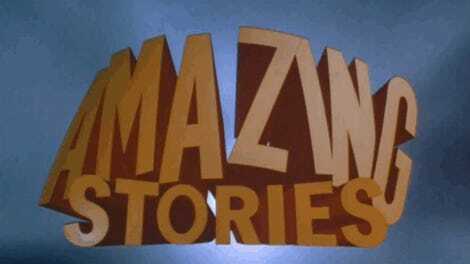 Spielberg briefly discussed the upcoming Amazing Stories, a reboot of the speculative fiction anthology series that originally ran on NBC from 1985 to 1987. After Bryan Fuller left the project in 2018 (he keeps doing that), Amazing Stories is now being helmed by Edward Kitsis and Adam Horowitz, the folks behind ABC’s Once Upon a Time. Spielberg didn’t provide many details but did mention the first episode would center on a World War II pilot who finds himself traveling through time to present day—and what would happen if he chose not to go back home. He added that, while the episodes won’t be connected, they will blend together into an overall narrative. Going back—I mean forward—in time. “It’s the universal human trait to search for meaning. So, in these disconnected stories, we hope audiences find one compelling narrative that will make the first season of Amazing Stories into a single thematic experience,” Spielberg said. We got more information on Momoa and Woodard’s upcoming sci-fi/fantasy series, See. The show takes place hundreds of years after a virus left only a few million survivors, and all of them blind. The series, from writer Steven Knight (2019's Serenity, oh boy), brings us to a future where those who’ve survived and thrived doubt the sense of sight ever existed, and it delves into what that world would be like. “Imagine a world evolved, designed and built to be experienced without sight. We did, and it yielded a world, the world of See,” Momoa said. 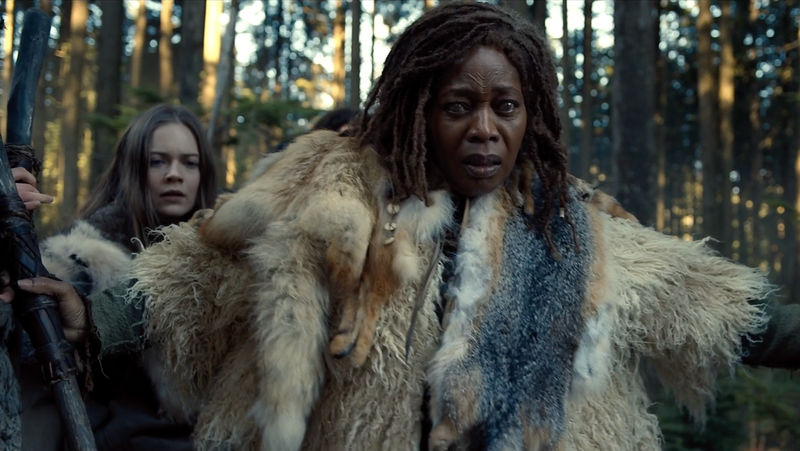 We also got quick images of M. Night Shyamalan’s upcoming thriller (the plotline is still being kept secret so we’re not sure if its genre specifically), a new musical animated series from the folks behind Bob’s Burgers, as well as Joel Kinnaman (Altered Carbon) in For All Mankind, the alternate-history series from Ronald D. Moore (Battlestar Galactica, Outlander) all about what would’ve happened if the space race between the U.S. and Russia had never ended. As far as we could tell from the teaser Apple did not promote the upcoming Isaac Asimov Foundation series nor the Time Bandit reboot. We’ll bring you more on all of these projects as we learn it. AppleTV+ is set to debut these and other shows this fall but the company did not reveal a price point.